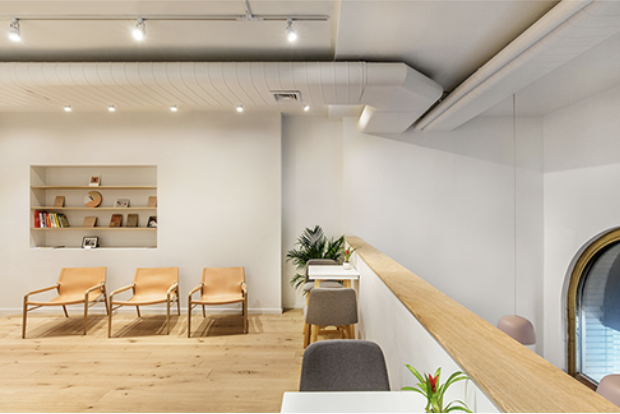 The sundays Salon in New York - in Manhattan’s Nomad neighbourhood - is a zen environment featuring non-toxic nail treatments. The sophisticated lifestyle brand puts user’s health, happiness and wellbeing first with 10-Free Nail Polish - the non-toxic nail polish line that doesn't compromise on a bright, brilliant finish. Founder of sundays, Amy Ling Lin, was inspired to create the line after launching a chain of nail salons four years ago. Realising that the salon environment is filled with harmful chemicals, Amy developed the sundays line of 10-Free nail polishes to enhance a health conscious environment for both talon technicians and polish connoisseurs alike. Embracing the less-is-more philosophy, each polish promises purity in a bottle, and every brush stroke delivers an all-natural, unparalleled manicure-pedicure experience. sundays professional 10-Free Nail Polish means it’s formulated without the nine hazardous chemical additives commonly used in nail polish. And it’s completely free of animal by-product, making the brand proudly cruelty-free and vegan. Boasting one of the most pure and simple formulas on the market, 10-Free Nail Polish delivers rich, luxurious color with stunning shine in a variety of timeless hues and fashionable colors. In place of the usual padded massage chairs with inbuilt foot baths are the timeless comfort of Blu Dot Chip chairs and oxDenmarq Rama chairs constructed from bull leather and oak wood. As clients recline to the calming sounds of classical music a white spiral stair case, that leads to a second-floor chill-out hideaway, comes into view.